Karuna Reiki symbols have a great degree of intensity and mysticism in it, as in all Reiki symbols. Symbols itself is a subject of the occult and deep meanings, which are difficult to define. Symbols are subject of meditation, and through the meditation, we can reveal the meaning and purpose of a symbol. 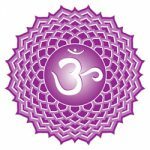 If we concentrate on the Karuna Reiki Symbols, they are unique. The Karuna 1 symbols Zonar, Harth, Halu, Rama and The Karuna 2 Symbols Gnosa, Kriya, IAVA, and Shanti, reveals some interesting at the same time amazing facts. If we observe all these symbols, we notice that most of them made up of geometric patterns and some mysterious signs. Infinity symbol, pyramid / Triangle, circle, Spirals used more than once. 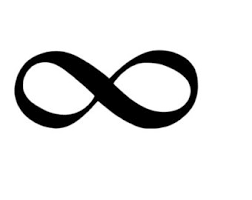 Infinity symbol used in Zonar, Halu, and Gnosa. Pyramid /Triangle used in Harth, Halu, Gnosa in different variations. Circle used in Harth, Halu, Gnosa. Spiral used in Rama (downward) and in IAVA(upward), and a full spiral can be clearly seen in CKR. Zonar gives me tremendous opportunities to work with it in a very unusual way. Whenever I meditate on zonar, it gives me totally new dimensions for using it. Sharing some of it. 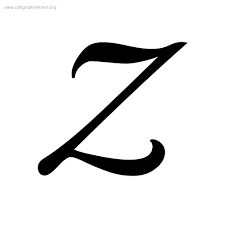 Zonar is made up of an alphabet Z and infinite symbol thrice in it. Numerologically, Zonar is a combination of 7 and 8. Zonar with reference to Angelic numbers 7 and 888. In Tarot, the Infinity symbol appears in two Major Arcana cards – The Magician and The Strength. We will see how Zonar can be used in Tarot reading. Every alphabet is denoted with a specific meaning in Numerology. so when we take into consideration Z as an alphabet, the Z alphabet stands for Peacemaker, Compassionate, trusting, practical, builder and diplomat. Whereas Infinity is a multi-dimensional symbol, denotes endlessness, unlimitedness or a number that has an infinite numerical value that cannot be counted. It is larger than the largest number, and if we take into context with time, it is time without end. In short, Infinity can be meant which has no end, Infinity is endless. 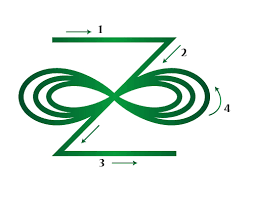 Now when we combine Z and Infinity symbol, thrice in it, it makes a very powerful symbol to use in complex situations like past life issues. Many issues and problems which we face in this life, most of the times, have their roots in one of our past life. 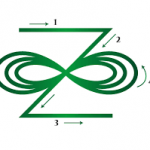 Since we exactly cannot find out where is the root, using Zonar, sending it with the intention to go in infinite time and space zone, solves the problem most of the time. Zonar is recommended to use on Solar Plexus Chakra or Manipur Chakra while dealing with past life issues. It is always recommended to use zonar, at the start of a healing session, since it brings peace and loving energies with it. Zonar works as emotional and spiritual anesthesia, So it always gives a calming and soothing effect on the receiver. Numerology is any belief in the divine, mystical relationship between a number and one or more coinciding events. It is also the study of the numerical value of the letters in words, names, and ideas. – Wikipedia. So specifically Numerology helps us to find out the hidden meanings of the numbers and letters. Zonar, if we observe, consist of two numbers 7 and 8. Numerological Meanings of these numbers make it very clear how Zonar significantly helps us to heal various problems. The searcher of the truth, the seeker, the thinker, doesn’t take anything at face value. It is always trying to understand the underlying hidden truths. It is a spiritual but not religious, quiet, calm unsolved mystery, compassionate, naturally intelligent, able to access subconscious information. The 8 is the great Karmic equalizer, a force that just as easily creates as it destroys. You can be assured that you will reap what you have sown with the No.8. It can be associated with authority and balance. The 8 balance the material and immaterial world. It is as spiritual as it is materialistic. Zonar, no doubt, works at its best when it comes to resolving karmic and inter-dimensional issues. The number 8 when placed on its side, it becomes the sign of Infinity. The number 8 represents complete and unending abundance without any lack, and everything good in respect to money, time, ideas whichever is good for your life purpose. Many of us know Pythagoras as a mathematician, but many of us do not know that Pythagoras was an Astrologer, Numerologist, Musician and Spiritually inclined. He started his own school where he used to teach Numerology and Philosophy to his students. He considers 11 and 22 represent the force of Karma, and he makes his students draw, look and meditate upon the number 8, as a way of invoking abundance. Please let me know about your views on Zonar. Thanks Jasvir, definitely will write a post on Karuna Reiki symbols. I have a symbol that I have been drawing since a child, my path has been spiritual always. I would love to know what you make of it, I have searched forever. unless I see what symbol you are drawing, I can’t figure it out. If you have the image of the symbol, pl share will try my best to find it out. You can learn and send Karuna Reiki Symbols after completing Reiki Master Teacher Training. I have been going through your articles on Reiki and Karuna Reiki. 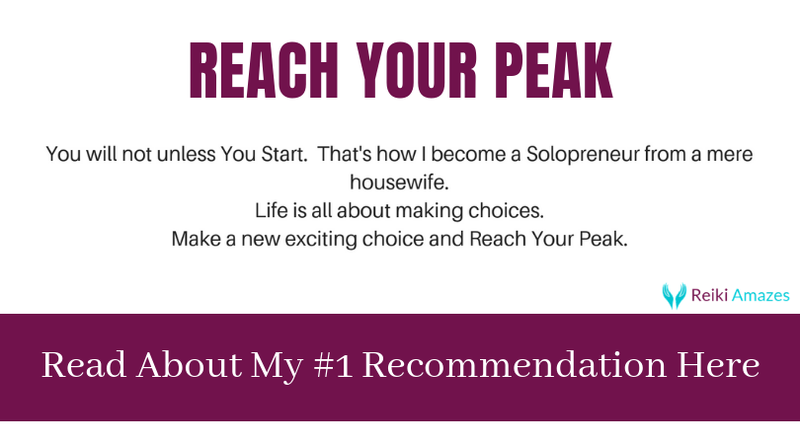 You are undoubtedly an absolute authority on these topics.I found you even better than William lee Rand. the way you have explained Zonar, shows it all. I sincerely congratulate you for this. God bless you for your selfless service to mankind. 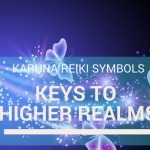 Looking forward to seeing your articles on an all Karuna symbols.I am a reiki master and have been attuned to all eight symbols of karuna reiki. Your explanations deserve praise and adoration. mam is it possible to see you personally whenever you are free.? I will mail you Jashvir.